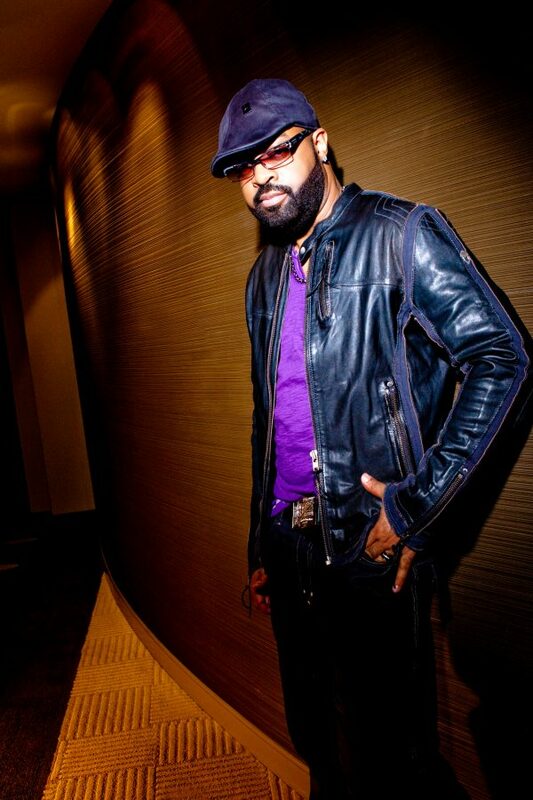 All roads lead to November 25th for one of gospel’s premier crooners J. Moss. 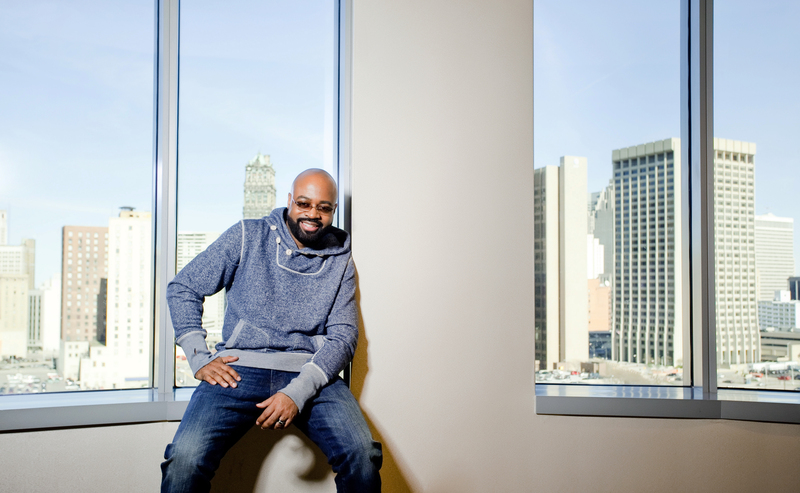 The multi-talented singer/songwriter/producer, whose impressive catalogue includes gems like ‘We Must Praise,’ ‘Unto Thee,’ and ‘Praise on the Inside,’ has assembled a track list of new soon-to-be fan favorites via his new project ‘Grown Folks Gospel.’ Getting a hand from Faith Evans, Maroon 5, and more, the album – from what we’ve heard alone – is certainly unlike anything else on record shelves right now. Now, it’s your turn to learn more. That Grape Juice: Thanks for taking the time to speak with us today! 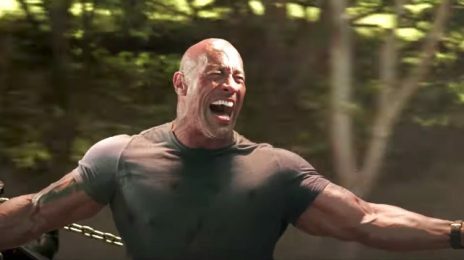 J. Moss: No man, thank you! I appreciate what you do! J. Moss: It’s definitely a concept I’ve always wanted to do and make a conversation piece. We’re still talking about the same God, but we’re just doing it on a more mature level. That Grape Juice: That’s awesome! The title is very much a conversation piece and implies that the album touches on topics that are “swept under the rug,” so to speak. 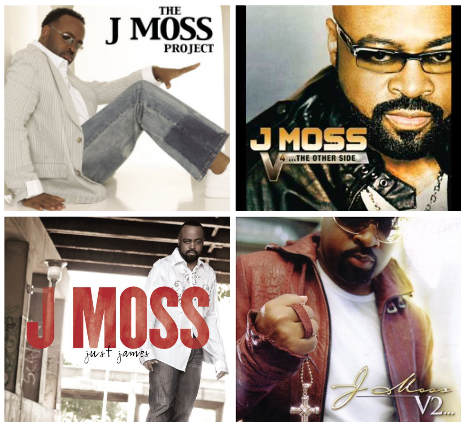 J. Moss: We definitely pushed the envelope on some of the records, but it’s more of a vibe. It’s a record that encompasses everything; it has a little worship, love, gospel, intimacy, and more. The record takes you on a journey, but it’s a mature one. Anybody who is going through anything “heartfelt” will feel this record. This isn’t just for one demographic. That Grape Juice: When we think of the Mary Marys, Kirk Franklins, and even Kim Burrells of gospel, we’ve seen them “push the envelope” in the past. But, their attempts were met with quite the backlash from the church. How do you feel about those who may respond similarly to ‘Grown Folks Gospel’? J. Moss: Well, I always say “Jesus didn’t preach in churches much.” He was out talking to the “unchurched” and those who didn’t know what He was about. That’s how I want to be. I want to go away from the church and those who already have it together. My album is for those who don’t know God and want to come into the knowledge, but don’t know how. That Grape Juice: Thematically, we’ve established that your album is different from your past efforts. Sonically, however, how would you say this album differs from your previous projects? 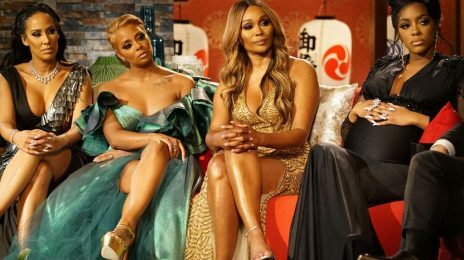 J. Moss: We had more live elements. We approached it differently by having a lot of jam sessions. That Grape Juice: Speaking of your past work, people don’t realize how much you’ve contributed to the gospel game over the past 10 years. Do you ever look back at some of your earlier work for inspiration? J. Moss: I hear the growth and the maturation process. I know where I’ve come from and how hungry I was back then, but with the wisdom I have now, I’m able to execute what I want to do a lot better. That Grape Juice: Awesome. We’re looking forward to hearing all of that and more when you hit the stage for your new tour. J. Moss: That’s correct! 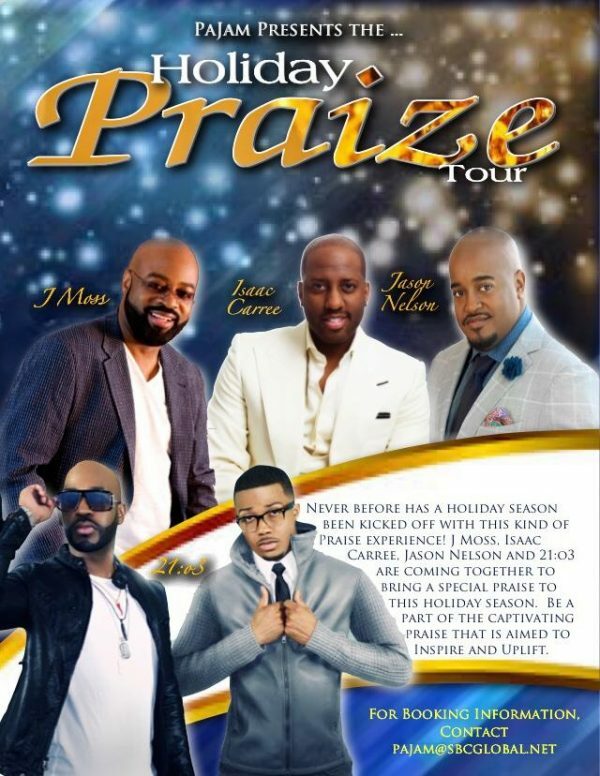 It’s called the ‘Holiday Praize Tour’ and features myself, Isaac Carree, Jason Nelson, and 21:03. It’s somewhat of a gentleman night’s out and is something the whole family can do for fun this holiday season. Keep it locked online for more information about the dates. That Grape Juice: That is such an awesome lineup man! You guys represent where gospel has come sonically, but what do you feel about where gospel is going as far as the “new kids on the block”? J. Moss: I hope they don’t get mixed up. I love their ambition and gift, but I want them to dare to be different. Be game changers and not game chasers. That Grape Juice: Bringing it all home, give us one good reason why we should buy your new album ‘Grown Folks Gospel’ on November 25th? 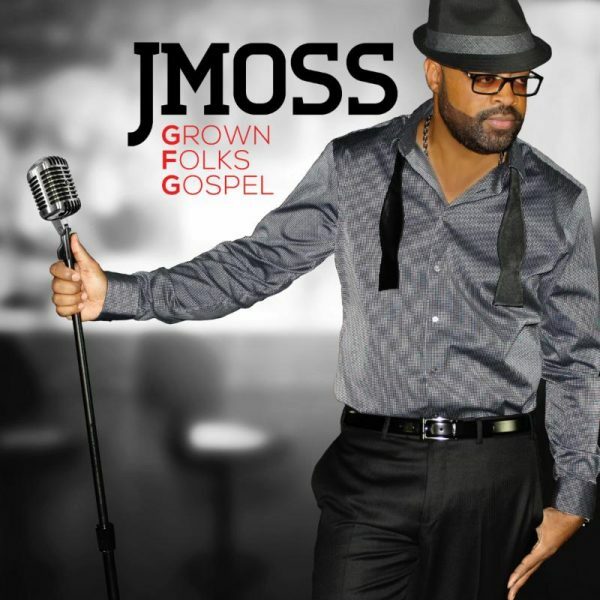 J. Moss: It’s the record that gospel has been waiting for me to do! You need this record in your life because it will speak to you. You can vibe to it, praise to it, whatever you need, there is something on it for everybody.